Our staff has many years of experience cleaning rugs of all types. We offer pickup and delivery to many areas in Maryland, Virginia, and Washington DC. 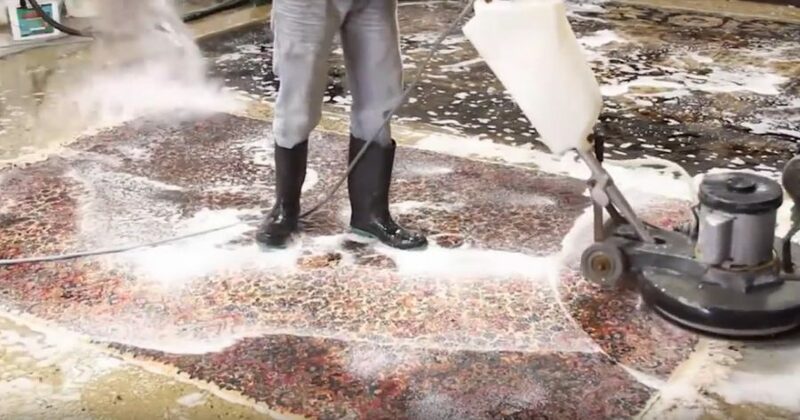 How do we differ from other rug cleaning companies? Firstly, we do not outsource the rugs to an outside cleaning company. The rugs are picked up, washed, and delivered straight to your doorstep by our team. 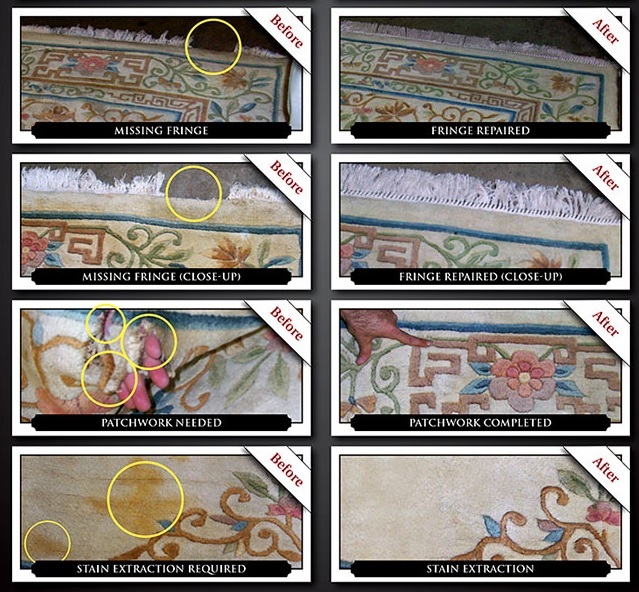 We also have a Quality Control team that inspects the rug before its wash to determine the best cleaning process. Trust in us for your rug and carpet needs in Arlington or the rest of North Virginia. Check out our September cleaning coupons here! Have you visited our rug showroom? We have a great selection of hand-woven rugs, with sizes from 2 x 3 to embassy-size. 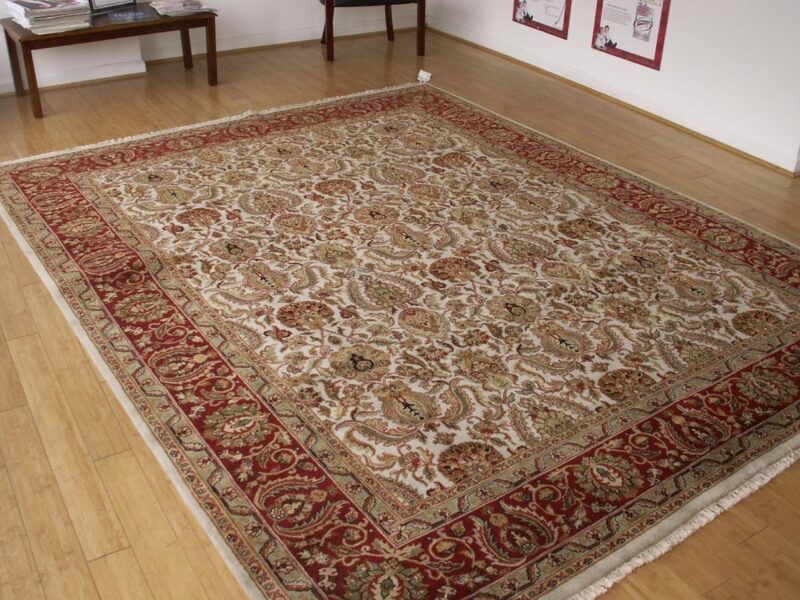 Our collection includes: Persian, Chinese, Turkish, Afghan, Pakistani, and many more rugs. We’ll help you find the right size, pattern, and style that will complement your space in Alexandria, VA! 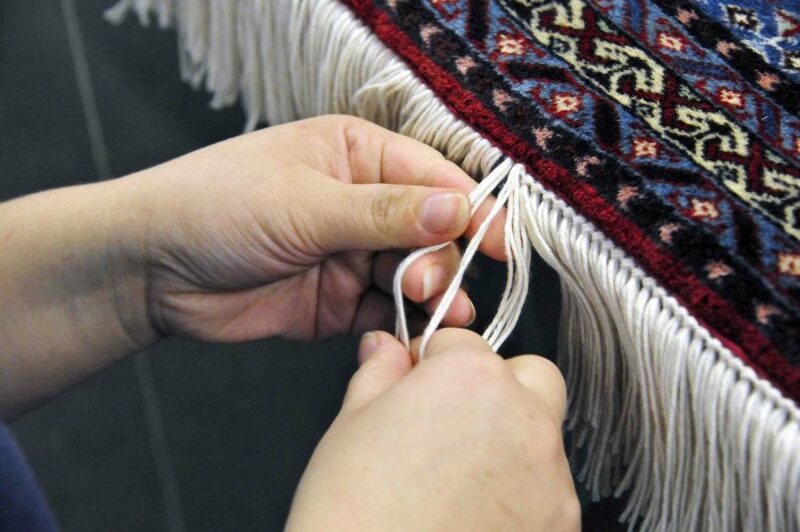 Anything you need for your rugs, we can provide! Pick up and delivery available in the DC Metro area. 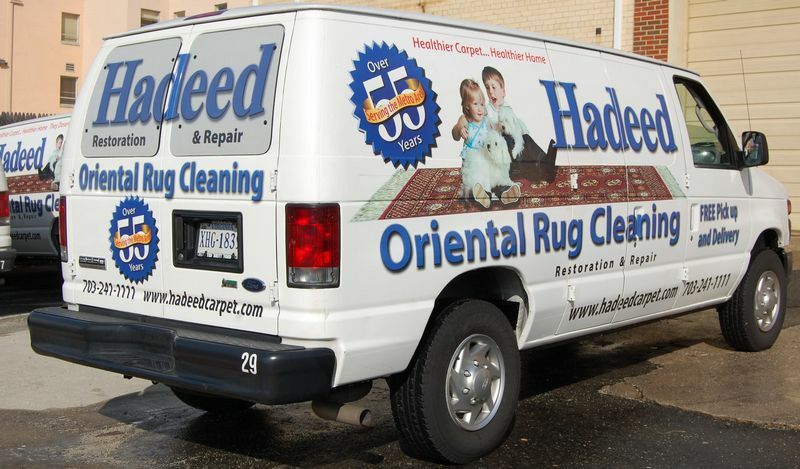 If you see one of our trucks around your neighborhood, then you know that we’re picking up, cleaning, repairing or reweaving any rugs that need our services! We do pick-up and delivery for Alexandria, VA and the rest of the DC Metro area.